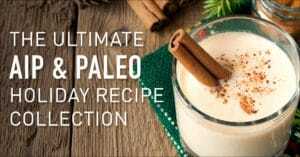 I was brainstorming for some different versions of Paleo meatballs and was inspired by the cooked sweet potatoes in my fridge. These Sweet Potato Meatballs are unique and delicious! Take meat out of the refrigerator and let warm to room temperature. In a large bowl, mix together ground meat, sweet potatoes, coconut flour, onion, garlic salt, thyme, ginger, and 2 Tbsp coconut oil (I used a potato masher, then my hands). Form into balls. 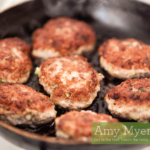 Heat a large pan over medium heat with remaining coconut oil or animal fat. Place meatballs in pan in batches, turning occasionally to cook through on all sides. 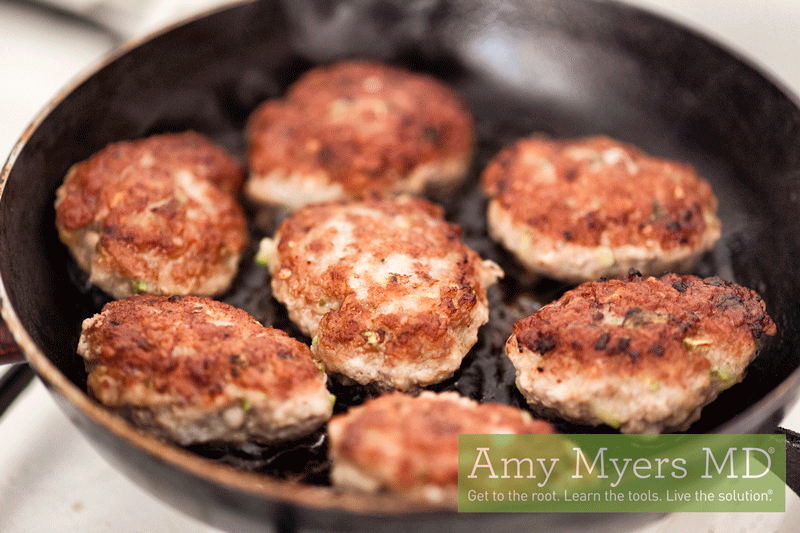 When meatballs are cooked through, remove from pan and serve hot.